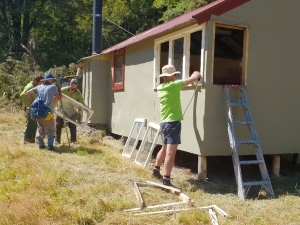 "Giving back is more than a good idea, it’s taking an ‘O’ out of good that defines the reason"
The project got under way at Doc’s field depot in Hanmer Springs with a Health and Safety debrief by the area’s Ranger; Duncan Anthony. 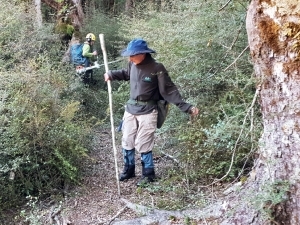 With two Doc vehicles loaded to the hilt, a total of ten individuals (four Doc staff and six volunteers) headed off to Hope Kiwi Lodge via the Poplars Station on the Lewis Pass Road. 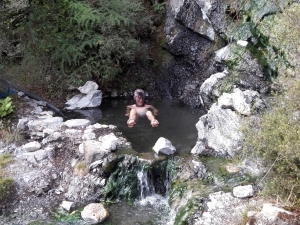 From Hope Kiwi we split up into two groups of five. 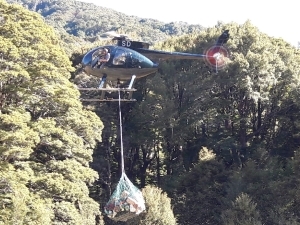 The first group of volunteers hiked up to Three Mile Stream Hut lead by Phil Norton while the second group tramped to Top Hope Hut lead by David Moore while Doc staff along with all the project gear and packs were flown in by helicopter respectively. The volunteer effort was designed as part of the ABTC 40th anniversary celebrations. 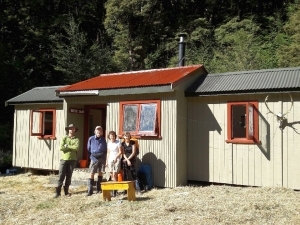 Repainting four Doc Huts (one for each ten-year period) over forty volunteer days during 2019 gathered in momentum over twelve months of planning. Paint for the two projects were supplied courtesy of Dulux. Working under the direction of Doc meant volunteers were excluded from using power tools and the like. This priority minimised the possibility of risk and harm during a week where manual tasks were undertaken and completed. 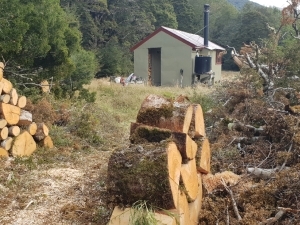 Some of these tasks included preparing and repainting both Huts inside and out, backup support for Doc staff, track clearing and marking, replenishing firewood, general repair and tidy up work. 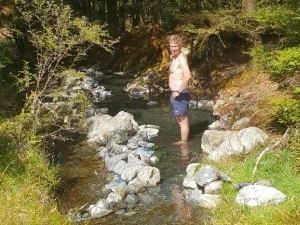 With plenty of fun, no mishaps and a volunteer plan that worked for all, Doc staff were simply amazing and resourceful individuals under Duncan’s dedication to protocol, conservation and human dignity. 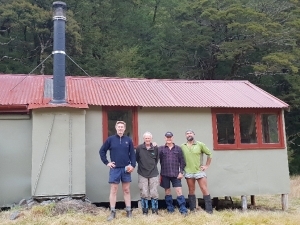 Completely renovating two backcountry Huts in the time we had was a combination of group determination, perfect weather and a wide range of skill sets meant we accomplished more than was anticipated. It was awesome to be a part of something bigger than one’s self and I am indebted to the club’s members for their enthusiasm, personal cost and the desire to give back.